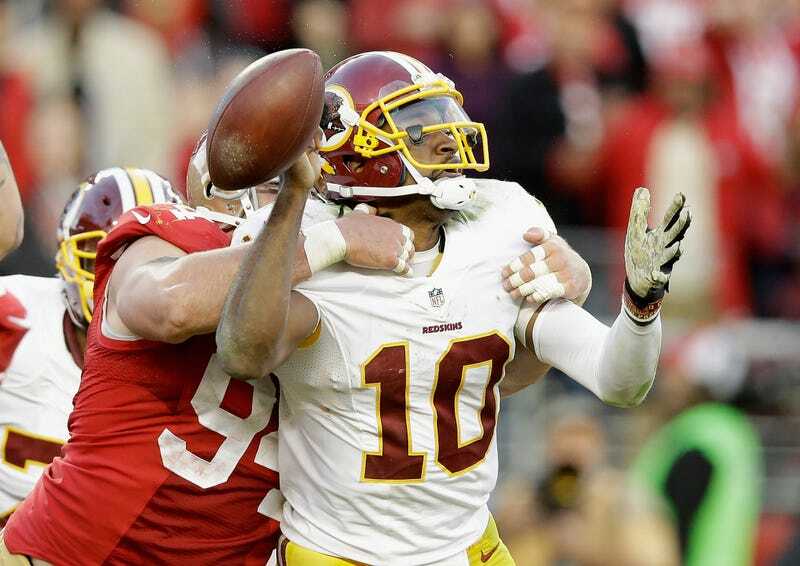 While Griffin is not a part of Washington's plan for Sunday's game, he still appears to be a significant part of the Redskins' long-term plan, per another source. Yet right now, Washington is hitting the reset button, though it might not last long, a source cautioned. Washington has high hopes for the coming off-season. Benching your supposed star quarterback in the midst of a lost season yet still considering him to be a "significant" part of your future seems odd to me, but it wouldn't be Washington football if people weren't constantly being thrown under the bus!